LUCY BURDETTE: In a year of unusual experiences, we had one more last month, the opportunity to take a trip to Cuba. Whether it’s fair or not, it saddens me when they take such a risk to attempt to make a new life, get so close, but get sent back to whatever they were running from. Or worse yet, die of exposure or rough seas. At any rate, that line of news has led us to an intense curiosity about Cuba and what life could be like for its inhabitants. As you may know, Americans are not allowed to visit that nation on our own. However regulations have recently loosened up to allow American tourists to visit as part of an educational group. So when the chance came to travel over with the Florida Keys Tree Institute, we grabbed it. We can leave the country any time we have the money and a passport. We can start our own businesses. As Cuba is not a democracy, entrepreneurship is not officially condoned. However, the regulations about running a private business are also loosening, of course with the understanding that the government taxes them heavily. Raoul Castro apparently cares much less about the specifics of what people do than that they pay their taxes. He was aware that things had to change for the island to thrive. But the government still owns many hotels, restaurants, and museums. We expect good food and good service in a restaurant. We ate several unimpressive meals at a government buffet or restaurant. But when we visited private restaurants, called paladars, the food was immensely superior to the government buffet. We expect email, and wifi and iPhone service. More about that tomorrow, but though the Cuban folks who could afford it were answering phones and checking email, we had none. Nada, nothing. We expect roads that can be traveled and trains that run and horses on farms. 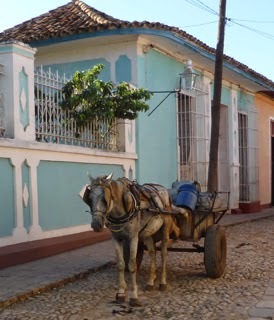 In Cuba, every kind of transportation shares the road. In Havana all the old cars are a big draw, many of them serving as taxis or else as stages for tourist photos --for the right price of course. 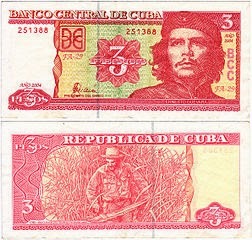 his Cuban oasis outside the city of Havana, where he lived for twenty years with his fourth wife, Mary. The house is now a museum. The weather was rainy so they were not willing to open the doors and windows to risk damage to the history they are working hard to preserve. We were able to peer into the window and see the typewriter on which he wrote For Whom the Bell Tolls. Also his private bathroom where he weighed himself daily and recorded the results on the wall... His fishing boat, the Pilar, was there, too. Hmmm, do we expect our capital city to be in good order? The city of Havana is a complicated place, gorgeous facades still stand but many are crumbling into ruins. Many also are being restored. We expect art to be on walls in museums. One of our last stops brought us to the neighborhood of Jose Fuster, whose ceramic work pays homage to Barcelona architect Antonio Gaudi. He has gradually replaced the facades of the homes in the area with the most fantastical ceramic murals. We were enchanted! I won't try to summarize the politics and history of this island--I'm sure I could not do justice to the complications of the Spanish American war (which name our guide noted should have included Cuba, as it was fought there,) Batista's reign of terror, the Revolution, the US embargo, the emergence of the Soviet Union, the effects of the collapse of the socialist countries, the entrance of Venezuela into the picture. There is a lot of chatter about when or if the embargo will be lifted, and how a country which is way behind in terms of infrastructure and technology could handle the influx of tourists. Thank you for an insightful look at this country and its people. Interesting stuff, Lucy. Americans take so much for granted. Oh, Lucy..fascinating. Thank you. Reading again.. So interesting--on the front page of the Key West Citizen today is a story about 15 Cubans landing at our local beach yesterday. Fascinating, Lucy. Thanks for writing this - I will be thinking about it all day. Fascinating and beautiful. And yes, that saying is true of so much. Thanks for the insight. So hard to imagine. Thanks for this, Lucy - a great piece! Thank you for sharing. Fascinating. 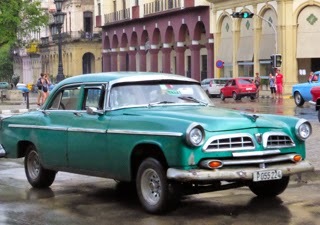 I took the same trip to Cuba Lucy did, only in January of 2013. My greatest impression was of the resilience of the Cuba people. Their ability to find ways to survive and even thrive, with humor, music and laughter, in the face of daily adversity, and frequent tragedy, amazed me. Absolutely Barb, they seemed upbeat and glad to see us. and the music was wonderful! Oh, Lucy, Cuba is high on our list of places to go. 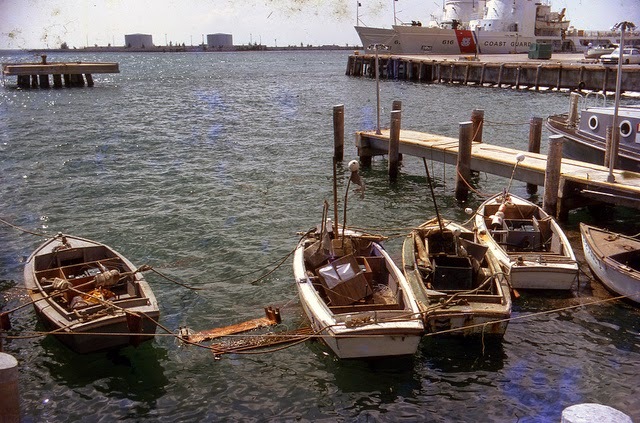 When I lived in NY in the '70s I taught so many Cuban kids just off the boat in a NYC public school, got addicted to arroz con pollo, platanos maduros, vacca fritta, and on and on from Cuban restaurants. Plus we have lots of Cuban friends. I'm optimist that one day that wall will come down. And maybe you'll feel yourself lucky to have been there "before." Terrific post, Lucy. I've wanted to visit Cuba for years and I've been waiting for the visa restrictions to ease. Maybe now is the time. Great photos. Thank you for your perspective, Roberta. A friend of ours goes to Cuba often (he travels through another country to get around the travel ban, somehow), but he talks about completely different aspects of the country. Travel broadens our world view, and more Americans, especially, should go outside their comfort zones and experience new cultures and ways of life. We do have much to be thankful here. Thanks for the reminder. Susan and Karen, we know of people who have dodged the embargo by traveling from Canada or Mexico. But as the educational programs are officially allowed by our government, we felt ok about going. I know there are many strong opinions about connecting with Cuba--but this was billed as "people to people"--which seems right. Hallie, we were concerned about getting there before the tourist hoards descend and things change for the worse! Already, there are starting to be souvenir shops with cheap merchandise (some made in China!) Hopefully some smart people will help them the transition when the time comes. Lucy, that was fascinating!! 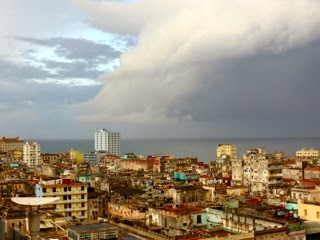 I've always wanted to see Cuba--so near and yet so far... 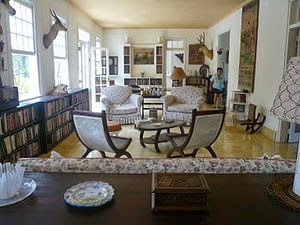 I would love the real Cuban food, and I'm so envious that you got to see Hemingway's house. And yes, we do take so much for granted, while complaining about the things we do have. It is interesting to me that people trying to get here from Cuba ave the "dry foot" rule. But if you are from somewhere else, equally as oppressive, you don't get that possibility. How great that you and John had the opportunity to visit Cuba, Lucy. It's a place that I'm curious about, and whenever I am in Key West, I think about how very close we are geographically (and then how very far apart we are otherwise). Seeing Hemingway's house, even from the outside looking in, and his boat, must have been a thrill indeed. Thanks for sharing your trip with us. I especially enjoyed the ceramic murals. Gorgeous! Did any artists or artisans have shops or sell things on the street? And in this season of overindulging, thanks for the reminder that we take so much for granted in our lives of plenty. As a canadian tourist, I went to a couple of places in Cuba. I love the Island, the people, the beaches. For me, what's horrible is the lack of Liberty. Liberty to do as you want, to live were you want, to speak your mind. Good place for vacations but I can't imagine living there.. 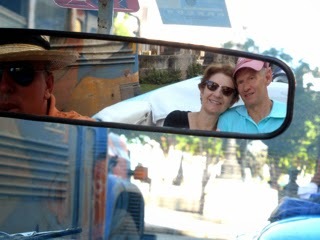 Thanks for showing us some of Cuba. Lucy. It's always been a place of fascination and mystery for us Yanks, except for different reasons as history shifted. Wonderful review of the trip. Wonderful meeting you, your husband and friend on the trip. Hope to see you when we come to Key West Valentines day weekend. I really enjoyed hearing about your experiences in Cuba! Most of what I know is from movies -- "Godfather" and "Buena Vista Social Club." I am fascinated that such a small place geographically can have such an impact on history, US policy, economics, etc. Denise, we went to hear jazz musicians from the Buena Vista Social Club--such a fun night! I read THE CUBA DIARIES: AN AMERICAN HOUSEWIFE IN HAVANA not too long ago and wondered how much things had changed in Cuba since the 90's. Your interesting post gave me some insight. Thanks. I'm going to have to look for that book Teresa, thanks for the recommendation!